This recipe offers high-quality protein, natural carbs, and healthy fat for a well-balanced, complete meal. 1. Add water, ice, FitFreeze, peaches, banana, oats, a ½ teaspoon of cinnamon, and vanilla to a blender and blend until smooth. 2. Spread 1 cup of smoothie in two bowls. 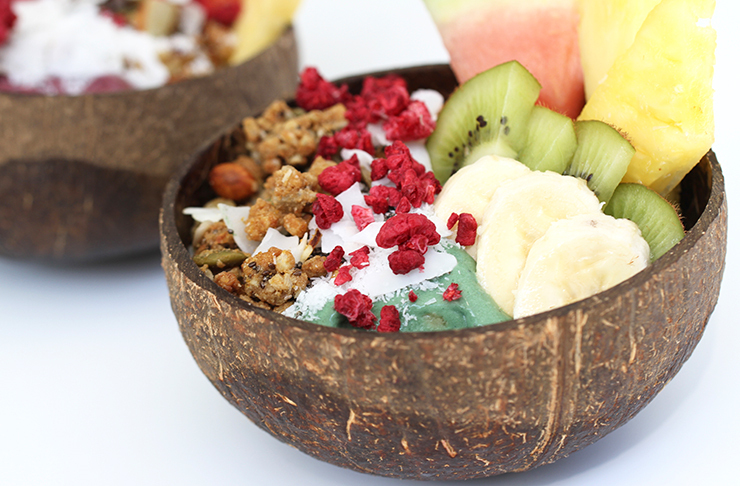 Arrange the kiwi, blueberries, and almonds on top. Sprinkle with the remaining cinnamon and enjoy!